I’ve only been contributing stories to Drone Universities for a couple of months now, but in that brief window, I’ve seen the drone industry experience rapid growth. Thanks to this rapid growth, I have more (way more) than enough material, so I rarely write about historical events. Today, I’ve decided to buck that trend because this story I’m writing about is too interesting, funny and scary all at the same time. In the three short paragraphs that Tessa Berenson wrote for Time, she forced me to ask myself if drones were going to be the contraband delivery mechanism of the future. Whoa, nearly six pounds of meth, that’s a lot of meth. In my area, Los Angeles, a pound of meth is worth between $9,000 and $14,500 wholesale according to Narcotics News. 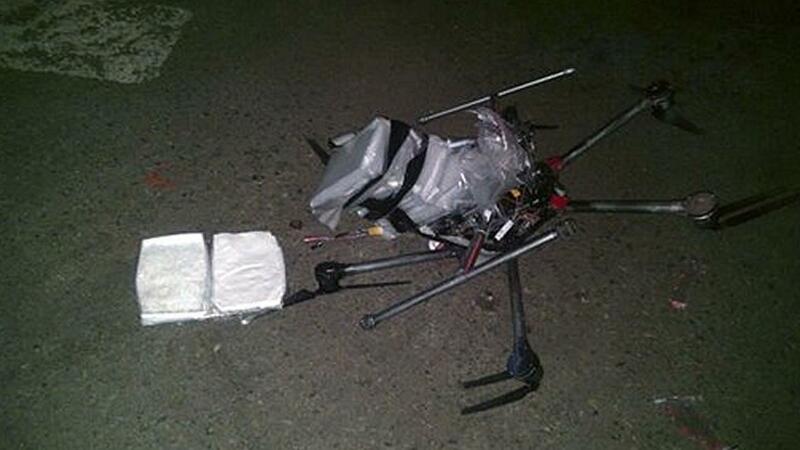 That means the drone was carrying somewhere between $54,000 and $87,000 worth of meth. The aircraft may have crashed because it was overloaded, officials said. The SourceFed video podcast reports that drones have been used for illegal smuggling since 2012, and since then, there have been 150 cases. The smuggling doesn’t stop at the border, there have been documented cases of drones attempting to smuggle contraband into prisons, too. Talk about good technology gone bad.